CENTRAL Reserve Police Force (CRPF) convoys moving to and from the Kashmir Valley will now be commandeered by a higher SP-rank officer and a single motorcade will not have more than 40 vehicles at any point of time, the paramilitary force has ordered in the wake of the Pulwama terror attack that killed 40 troops during a similar movement. PTI has accessed a set of new Standard Operating Procedures (SOPs) issued by the force headquarters in Delhi for vehicle-mounted movement of troops in Jammu and Kashmir, and it has also been ordered that the ‘passenger manifest discipline’ for each vehicle in the convoy be strictly adhered to. Amongst the first set of changed SOPs is the move to depute a second-in-command rank officer (equivalent to Superintendent of Police rank) of the force to lead the convoy instead of the current practice of a junior Assistant Commandant-rank (Assistant SP) officer heading the entourage. This is to ensure that the convoy is led by an experienced and senior officer who will have a better understanding and strategy to manoeuvre the convoy to and from the Kashmir Valley which is operationally very sensitive due to terrorist acts and IED threats, official sources said. This will also upgrade the accountability hierarchy and the new convoy commander will now directly report and co-ordinate with one of the three Central Reserve Police Force Deputy Inspector General (operations) based in Kashmir. Till now, the convoy commander or the Assistant Commandant used to report through the Commandant to their higher-ups. Convoy commander usually travels in the lead in a communications gadget-fitted vehicle comprising armed troops for quick reaction. It has also been decided that the convoy strength will not go beyond 40 vehicles in any case and “all possible efforts” will be made to essentially keep the number of vehicles in a motorcade to least possible of about 10-20 for effective management and control, they said. 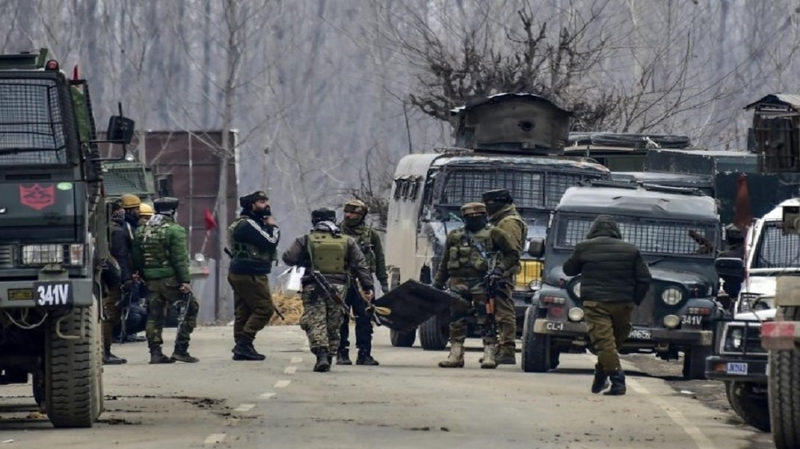 A CRPF bus in the fifth position of a 78 vehicle convoy was targeted by a Jaish-e-Mohammad (JeM) suicide bomber after he detonated his explosives-laden SUV near it on the Jammu-Srinagar highway in Pulwama on February 14. The over 2,500 personnel strength convoy was being commanded by an AC-rank officer and all 39 personnel in the ill-fated bus and a sub-officer stationed on the ground, as part of a road sanitisation party, were killed in the deadly blast. The force undertook a huge and time-taking task of identifying the bodies of its slain personnel as the blast had blown the bus and its occupants to smithereens making it difficult to identify the mortal remains as it is understood that some men changed their vehicles when the convoy last halted. It has, sources said, hence been decided that all those who are allotted a seat in the vehicle will scrupulously stick to the seating plan and re-board the same bus or truck after the convoy resumes post a refreshment break. A sub-officer in the rank of an Inspector or a Sub-Inspector will be responsible for ensuring that the passenger manifest of each vehicle remains intact, they said. The convoys will also have a changed strategy of having bullet-proof mobile bunkers which are always deployed at frequent gaps in the motorcade for any armed offensive or defensive action in case of an attack. Also, each vehicle in the convoy will have armed security personnel as usual, but their numbers and position will be changed dynamically and as per operational requirements, they said. The CRPF, designated lead force for internal security duties and anti-terrorist operations in Kashmir, is also mulling to create a new full-fledged transit facility for its troops in Udhampur that will reduce by about 70 km, distance between J&K. The present transit camp is in Jammu and it takes about 10-12 hours for convoys to cover about 300 km between these locations. A transit facility in Udhampur will reduce the time taken and the risk involved in running convoys, which cannot be done away with completely despite the Government recently allowing all personnel to take a flight to Srinagar from either Jammu or Delhi, they said. Around three lakh personnel strength force has about 65 battalions or about 70,000 personnel deployed in the Kashmir Valley and has two sectors, Kashmir and Kashmir operations, headed by two Inspector General rank officers. CRPF Director General R R Bhatnagar had last week told the news agency that they are going to procure a new fleet of mine protected vehicles, small 30-seater buses and provide more partial armour to its troop carrying buses to ensure safety of jawans post the Pulwama attack, the worst in the Valley on security forces in over three decades.